"Ralph makes one last appointment--and keeps it"
"Ralph makes one last appointment — and keeps it" by an unidentified illustrator. Photogravure. 1912? 12.3 cm wide by 9.2 cm high, vignetted. 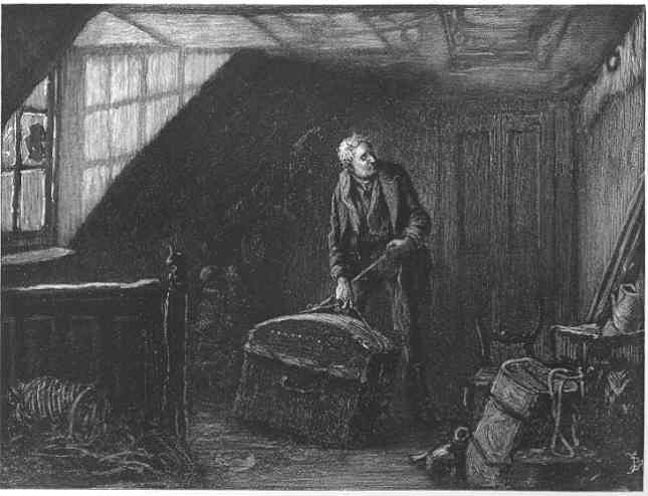 Volume V, 901 in Dickens's Nicholas Nickelby in the Co-operative Publication Society Edition. Terry-Lynn Johnson Collection. Scanned image and text by Philip V. Allingham. You may use this image without prior permission for any scholarly or educational purpose as long as you (1) credit the person who scanned the image and (2) link your document to this URL in a web document or cite the Victorian Web in a print one. Dickens, Charles. Works. Photogravure-Illustrated Edition. New York and London: Co-operative Publication Society, [n. d. 1912? ].